Georgia Tech, Purdue, and Stanford partnered to investigate the impact of aircraft and vehicle technologies on future environmental impacts of aviation. The research was conducted as a collaborative effort in order to leverage capabilities and knowledge available from the multiple entities that make up the ASCENT university partners and advisory committee. Georgia Tech partnered with Purdue University and Stanford University. The primary objective of this research project was to support the FAA in modeling and assessing the potential future evolution of the next generation aircraft fleet. Research under this project consisted of three integrated focus areas: (1) Developing a set of harmonized fleet assumptions for use in future fleet assessments; (2) Modeling advanced aircraft technologies and advanced vehicles expected to enter the fleet through 2050; and (3) Performing vehicle and fleet level assessments based on input from the FAA and the results of (1) and (2). Due to extensive experience assessing CLEEN I, Georgia Tech was selected as the lead for all three objectives described above. Stanford and Purdue supported the objectives as shown in Table 1, listing the high-level division of responsibilities amongst the universities. Georgia Tech led the process of conducting four surveys to collect feedback from industry, academia, and government on potential future scenarios for fleet and technology evolution. This work was performed under objective (1) and the outcome is a set of technology and fleet evolution descriptors in a format suitable for use in a wide variety of modeling tools and future analyses. Under objective (2), Georgia Tech used the EDS conceptual modeling tool to create future representative vehicles consistent with the technology evolution scenarios defined under objective (1). Finally, Georgia Tech exercised the GREAT and ANGIM toolsets under objective (3) to assess potential future fleet-wide impacts of aviation. Stanford provided input based on its experience into applicable public domain technology modeling identified under objective (2) across the entire time horizon contemplated in this work. Stanford has also provided trade factors, resulting from redesign/resizing of all vehicle classes to account for changes in mission specification changes for a public domain mission analysis to be completed under objective (3). This task has helped to define the interfaces between Stanford’s expertise with assessing mission specification changes and Georgia Tech and Purdue’s expertise with fleet analysis. Purdue has applied their FLEET tool under objective (3), using a subset of the fleet assumptions defined in objective (1) and public domain vehicle performance generated by Georgia Tech in prior years. This activity has demonstrated the capabilities of FLEET for assessment of fleet-level noise and emissions evolution as a result of new aircraft technologies and distinct operational scenarios. In addition to the supersonic aircraft assessment objective, this work will focus on evaluating technology interdependencies between fuel burn, emissions, and noise. Projects, such as NASA’s AATT N+3 and ERA and FAA’s CLEEN I and II, have established a set of technologies and concepts for which system level analysis is needed to quantify the both feasibility, benefits, and degradation associated with achieving goals established for each project. Those projects goals’ are aimed at reducing the environmental impact of aviation as the expected growth in aviation demand could double in the coming decades. To identify technology and vehicle solutions that meet the fuel burn, noise, and emissions goals requires the use of system-level analysis with the appropriate level of fidelity to capture interdependencies and tradeoffs between fuel burn, noise, and emissions. Georgia Tech finalized technology development assumptions that are used to drive fleet level predictions of key environmental metrics. These are called technology development roadmaps, which provide key information on technology impact, readiness, and estimated development time until entry into service. The technology roadmaps are intended to support modeling efforts and are tool agnostic. Final fleet assessment scenarios have been developed by Georgia Tech using input from the team and virtual workshops comprising industry, university, and government experts. The scenarios are descriptive, but tool agnostic and are defined through standard future state descriptors such as GDP growth, fuel price, and high or low investment in technology. The defined fleet scenarios are intended to provide bounding cases on future U.S. fleet-wide performance to inform technology development and goal setting. Georgia Tech and Purdue used their respective fleet and vehicle simulation models to predict the fleet noise and CO2 resulting from the defined technology and fleet evolution scenarios. The results indicate that the rate of technology insertion is the major driving factor in reducing fleet wide CO2 emissions. Using FLEET, Purdue simulated a series of future aviation scenarios developed in discussion with the FAA and using public domain Georgia Tech modeled N+1 and N+2 generation aircraft instead of the Purdue modeled aircraft in FLEET. 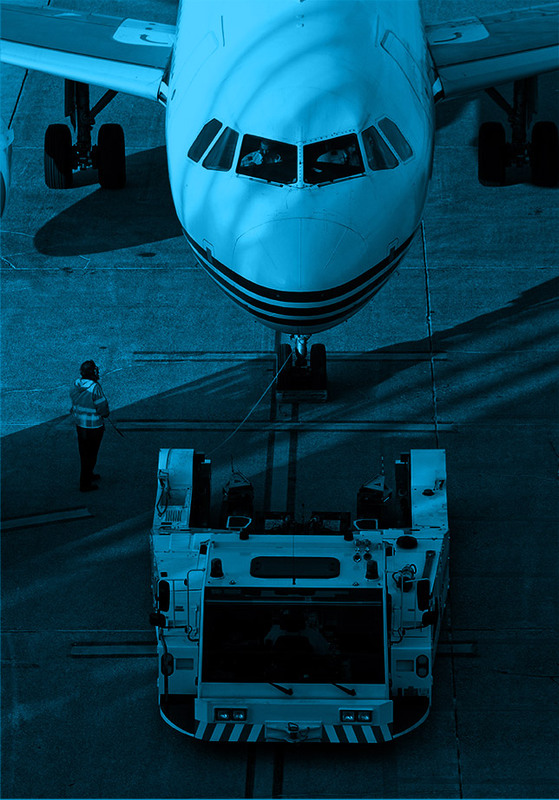 The scenarios simulated include the “Aggressive minus CLEEN” scenario as specified in the CLEEN PARTNER Project 36 report, plus others that studied the impact of capacity constraints at airports and airline competition. With further studies, Purdue assessed the sensitivity of future aviation emissions to variations in fuel prices, market demand, and the dates of technology availability. This demonstration of FLEET capabilities preceded the studies to investigate the scenarios defined for this project. The group at Stanford University has focused on (a) the development of the necessary analysis and optimization capabilities within the Stanford University Aerospace Vehicle Environment (SUAVE) framework, (b) the development and validation (with publicly-available data) of model vehicles in each of the five ICAO/CAEP aircraft classes, and (c) a study of the fuel-burn-reduction opportunities afforded by decreases in cruise Mach number when re-designing (including airframe and engine) these aircraft. All redesigned vehicles have been validated and tested and have been done at current levels of technology and also at more advanced (N+1 and N+2 levels) levels of technology. These improved vehicles have been provided to the rest of the team, so that they can insert such vehicles in the fleet-level analyses done with the Georgia Tech GREAT and Purdue FLEET tools. The Stanford team has also supported the team’s activities for the preparation and conduct of both the fleet-level and technology workshops. Project data is available in the 2016 annual ASCENT COE Report and will be updated in the 2017 COE Report.